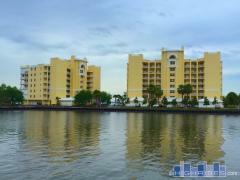 Canaveral Sands is an oceanfront condominium complex with 5-story mid-rises located in Cape Canaveral. Amenities at Canaveral Sands include private balconies, a swimming pool, clubhouse, and sauna. Have any comments or questions about Canaveral Sands? Ask your question and/or share your thoughts about this Building. We are looking to rent in Canaveral Sands for the month of March 2016. Do you have any availability during that time? See want to be in building 1-2 or 3. 2nd floor or above.